Flowers: growing in racemes on slender axillary peduncles. 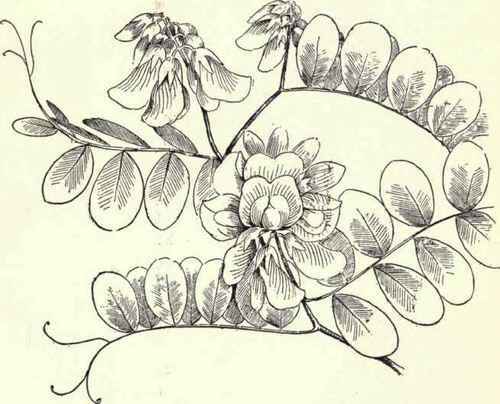 Calyx: of five almost separate sepals. Corolla: of five nearly equal petals, two of which are dotted with reddish purple at the base. Stamens: ten; anthers, irregular, blackish and often imperfect. Pods: long; hairy. Leaves: pinnate; divided into six to nine narrowly oblong leaflets tipped with a little point at the top and having a club-shaped gland at the base of the petiole. Stem: four to ten feet high; smooth. 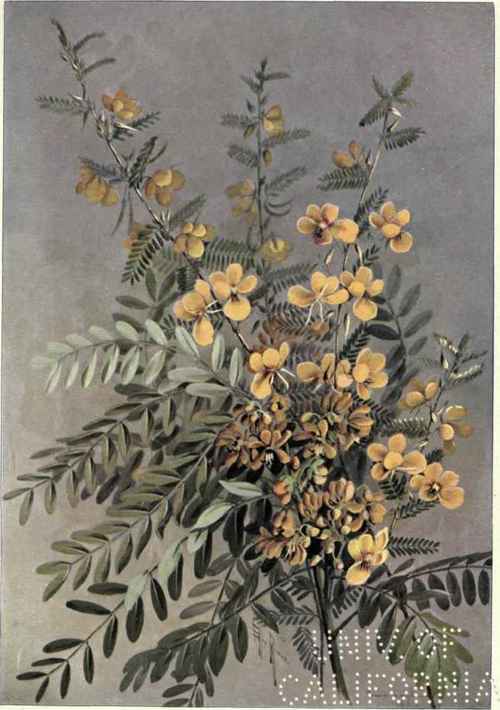 If there are rebels among the flowers the wild senna surely is one; for it has, apparently without rhyme or reason, deserted the papilionaceous corolla of the pulse family. It is a common species in the north: and for its beauty has been cultivated in gardens. The dried leaves and pods are well known in medicine, being used for similar purposes as those for which the oriental senna is employed. Wild senna is found much more frequently in wet meadows or marshes than it is in sandy soil.